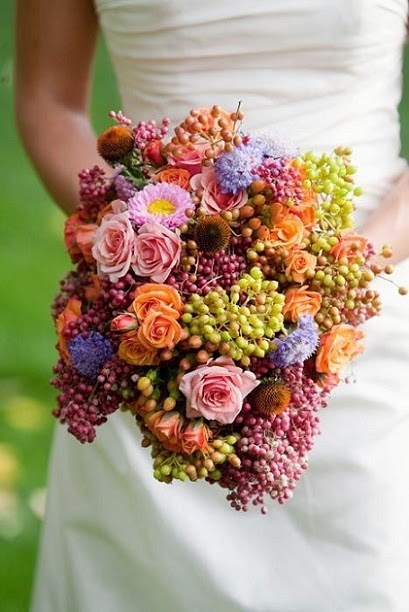 Rich colors are always beautiful for an autumn wedding. But that does not mean that the only option are traditional fall colors like orange and red. 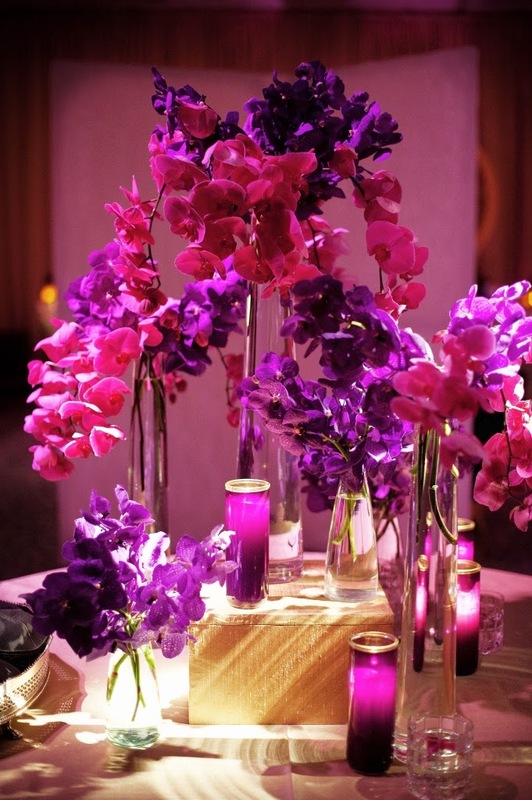 For something unexpected, consider the elegant fall wedding colors grape and magenta. 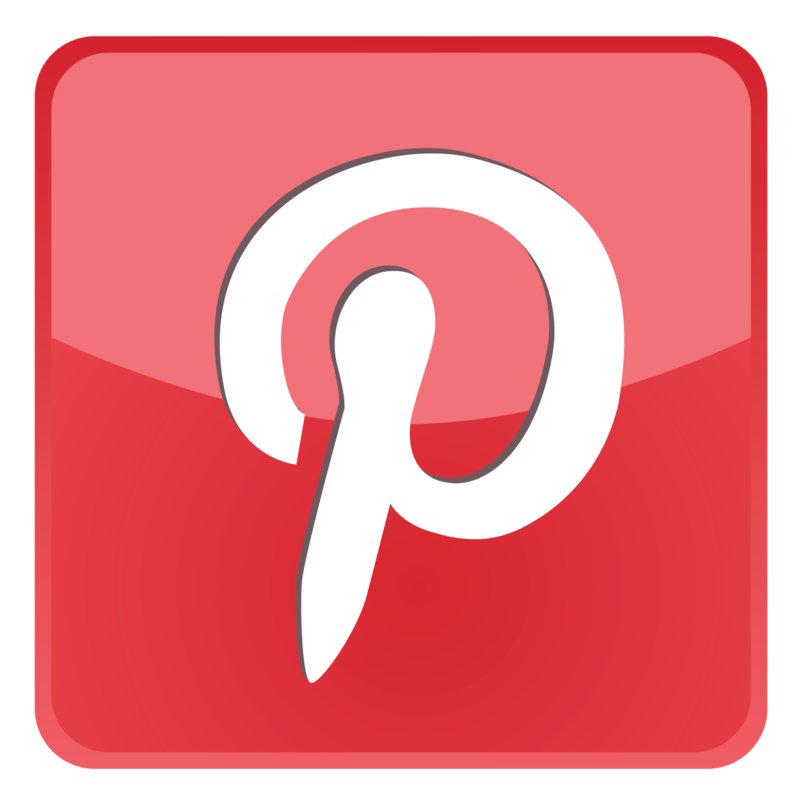 When most people think of a fall wedding, they automatically imagine something rustic, perhaps in a barn or a vineyard. But an autumn wedding can be just as elegant as one held at any other time of the year, and there are many venues which are far more sophisticated than rustic. 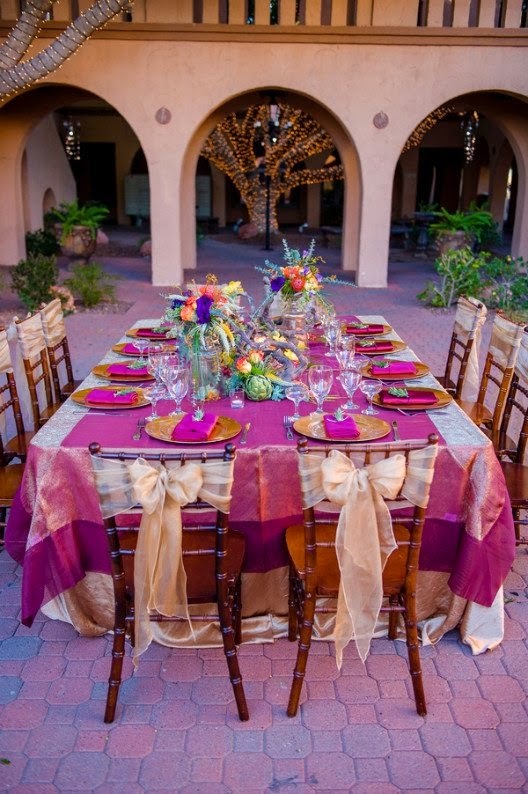 A fantastic way to decorate this style of fall celebration is with unexpected elegant colors. Grape and magenta fit the bill perfectly: they are rich enough for the season, yet they distinctly veer away from the usual fall foliage theme. They would be fantastic for a reception in a ballroom, country club, museum, or an historic mansion. 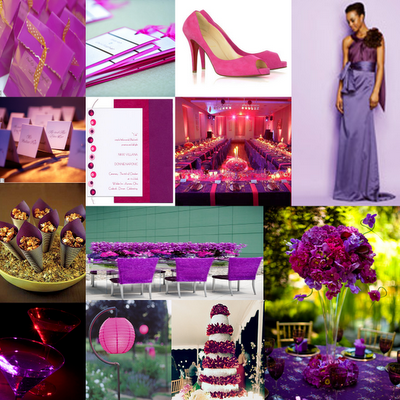 One of the great things about grape and magenta is that it will be very easy to find flowers in your signature hues. You can use roses, orchids, gladiolus, calla lilies, orchids, stocks, lisianthus, carnations, tinted seeded eucalyptus, alstromeria, and dahlias. With so many varieties, you will definitely be able to work with your florist to create the perfect bouquets, centerpieces, and ceremony arrangements. An equal mix of the two colors will look magnificent. 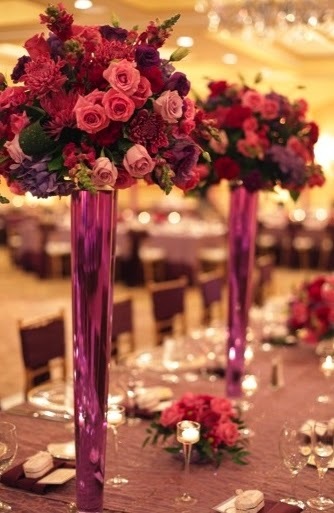 If you wish to make your centerpieces more formal, display them in silver footed bowls or tall tapered vases. The bride could opt to carry a classic white bouquet in similar floral varieties, or she could have fun with a bright bouquet. Grape and magenta are gorgeous colors for the bridesmaid dresses. Cocktail style party dresses are a very hot trend for bridesmaids right now, and there are some fantastic ones available in deep purple. Some of the most chic are those which have a bit of a mid-century inspiration, such as a portrait neckline or cap sleeves, done in satin or dupioni. Classic pearl bridesmaid jewelry will suit these elegant silhouetted. If you like dresses with more of a modern twist, opt for a chic one shoulder dress in grape or magenta. Just steer clear of summery fabrics like chiffon and organza. Dramatic crystal bridesmaid jewelry made with amethyst colored crystals would be fantastic with modern dresses. A unique idea for your wedding reception is to hire a lighting specialist to use your signature colors to dress the venue. A magenta colorwash would be gorgeous cast on one wall of the reception site. It is a high energy color, so consider using it during the dancing part of the evening. Another possibility is to drape the reception ceiling with white fabric (so pretty for a tented wedding) and cast the light onto the ceiling for a subtle glow. 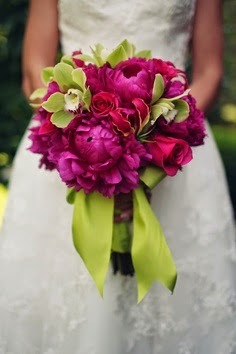 What a wonderful way to infuse your wedding with your special hues. There are many, many more ideas for creating a dreamy grape and magenta fall wedding. 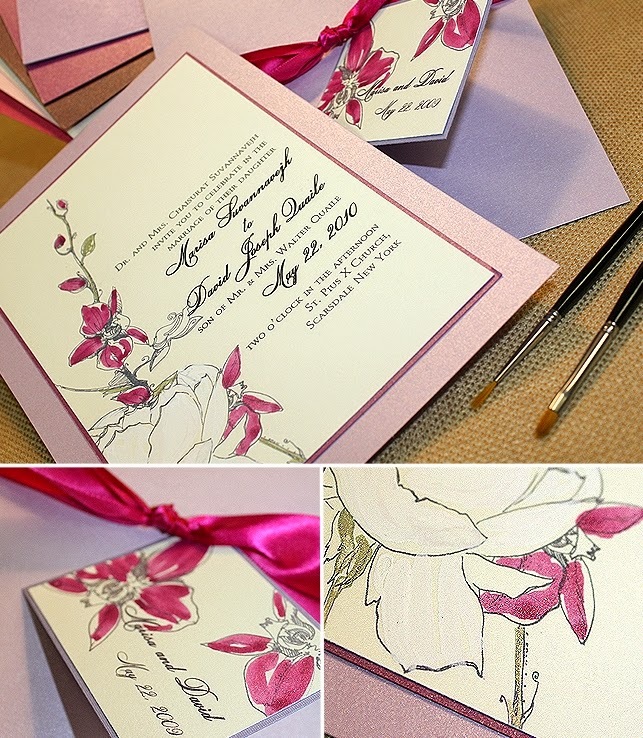 The colors would be stunning for calligraphy on the wedding invitations. 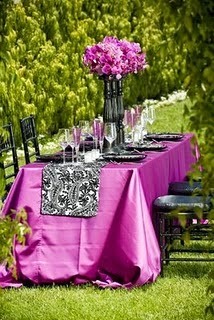 They would also be gorgeous for silk tablecloths. 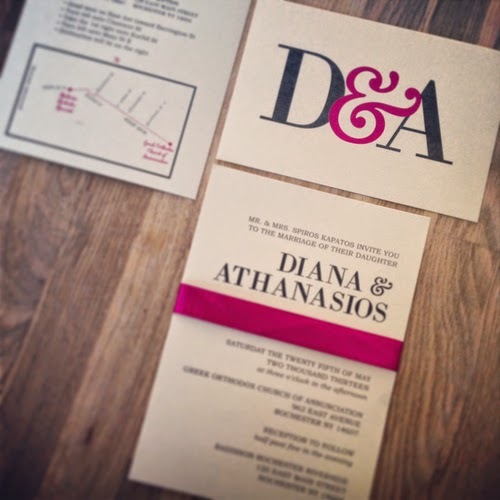 This unique color combination will be sure to set your elegant fall wedding apart from all of the foliage theme events.